America is indeed blessed to have so many close and strong allies, all of whom punch above their weight. Maybe one of them could loan the White House a speechwriter? It looks like ours could use some fresh ideas. I think that's a quote from Shakespeare, who knew a lot about politicians. 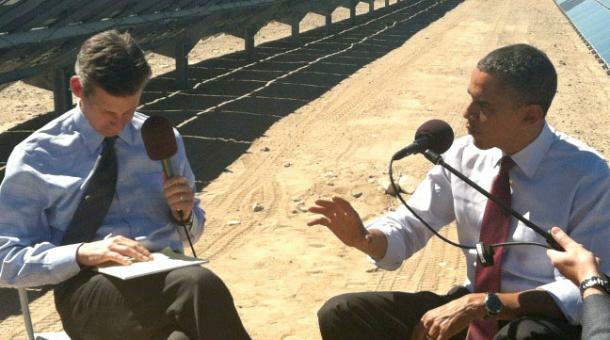 Anyway, I'm thinking about it because of President Obama's interview on a Marketplace segment that was broadcast on NPR the other day, in which he went into full back-pedal mode when the host brought up the Solyndra loan debacle. Ryssdal: With all respect, it was kind of a gutsy move I think to come to a solar facility. Your administration has staked a lot on clean technology, green jobs. The biggest item most people know about that strategy is, of course, a company named Solyndra, which your administration gave loan guarantees to, that then went bankrupt and has been the subject of many investigations. Are you doing your "all of the above" strategy right if that's what we have to show for it -- Solyndra? The part I like best is that term "per se." It may have originally meant 'being such inherently, clearly, or as a matter of law,' but in American political rhetoric it now means don't look at me, it's really not my fault. According to the political lexicographer William Safire: “As a get-out-of-trouble-word the Latinism [per se] has a scholarly ring, and with its meaning slipping old moorings, we can expect to hear it fuzz up debate for years to come.” Exactly. Obama rightly notes that Congress created with bipartisan support an Energy Department loan guarantee program for clean energy start-ups in 2005, during the George W. Bush administration. However, he incorrectly suggests Solyndra received its financing from that 2005 appropriation of funds. Instead, the company’s $500 million in fast-tracked loan guarantees came from a new section of the program created by the 2009 American Recovery and Reinvestment Act, also known as the stimulus. The Recovery Act did not receive any GOP votes. So, the energy subsidy program that predates the Obama administration is for currently non-commercial technologies, pays for itself with a system of fees, and had bipartisan support. The other program, which the Obama administration created, is for "commercially available technologies," does not charge fees or otherwise pay for itself, and received no Republican support. Solyndra got all of its boodle from the second program. Solyndra actually is Obama's program inherently, clearly, and as a matter of law. He ought to cowboy-up and take responsibility for it instead of hiding behind fuzzy Latinisms. The WaPo's Fact Checker column spanked President Obama 1870s-style over his remarks at that press event in Largo, Maryland, on Thursday. 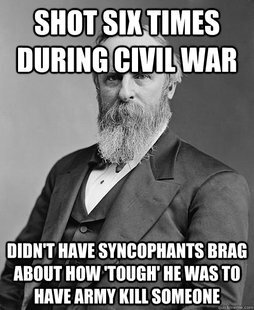 It gave him four Pinocchios for using the tired, old, invented quote about Rutherford B. Hayes and the telephone. 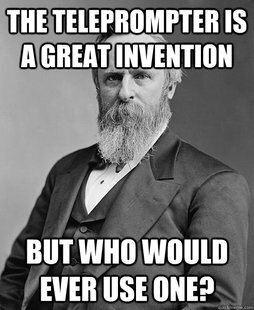 The quote cited by Obama ["One of my predecessors, Rutherford B. Hayes, reportedly said about the telephone, 'It’s a great invention, but who would ever want to use one?'"] does exist on the Internet, but we would expect the White House staff to do better research than that. (This line was in the president’s prepared text, so it was not ad-libbed.) But the trouble is, historians say that there is no evidence Hayes ever said this. Not only that, contrary to Obama’s jab, Hayes was interested in new technology. Besides historians, Obama’s staff also could have checked with the White House Historical Association, which recounts Hayes’s interest in the telephone in a classroom lesson for children in grades 4-8. Our final ruling was swayed in the end by this: The president in particular has a responsibility to get historical facts right, and in this case he got them completely backwards. Obama mocked Hayes for “looking backwards ... not looking forwards.” In reality, Hayes embraced the new technology. He should be an Obama hero, not a skunk. Hayes is dead and buried, but he deserves an apology. Inevitably, the White House spokesman tried to justify this speech writing malpractice. Jay Carney pointed out that the old chestnut about Hayes can be found in “multiple media references,” as if that's what really matters. “I’m not arguing that this is not in dispute, but the quote is widely cited,” Carney said. He added that Obama was using the anecdote in service of a broader point. In Washington, Carney seems to be saying, a falsehood becomes true enough for government work if it advances a political narrative. I'll add this tidbit about Hayes. 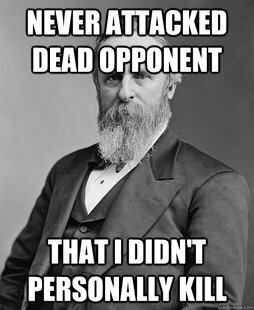 As a successful lawyer in Ohio - which was a slave state - he joined the Unionist cause out of his desire to abolish slavery. When the Civil War began, he became an officer in the 23rd Ohio Infantry and was repeatedly wounded while leading troops in battle. When, in 1864, he was nominated to run for Congress from Ohio, he refused to campaign for office because he was already engaged in another kind of campaign against the Confederate Army in the Shenandoah Valley. He was elected anyway., and took his seat in Washington after the war was over. Eight days into the Iran-Iraq War, Operation Scorch Sword commenced. At dawn on 30 September 1980, four Iranian F-4E Phantom jets refueled mid-air just before the Iran-Iraq border. After crossing into Iraq, the fighters climbed to a higher altitude so that their course was detectable by Iraqi radar. Moments later, two of the Phantoms peeled off, and dropped to a lower altitude to avoid radar detection. They were flying stealth to Tuwaitha, a city ten miles southeast of Baghdad, home to the Osirak nuclear reactor. 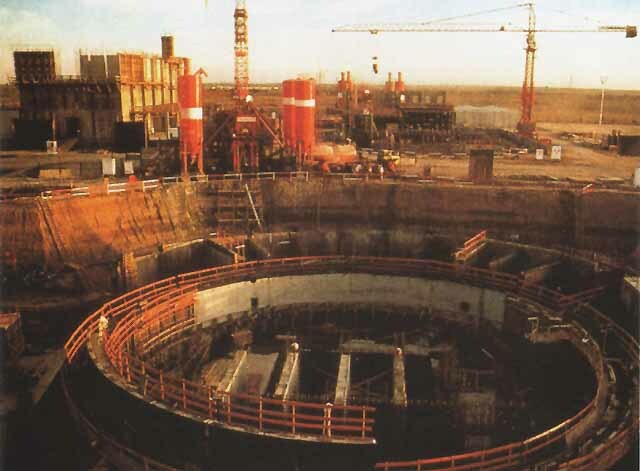 As the world debates the possibility of an Israeli air strike of Iranian nuclear facilities, many have sought to learn lessons from Israel’s 1981 attack on the Osirak reactor. As I thumbed through our documents on Israel’s attack (and boy do we have some good ones), I learned that Iran had bombed Iraq’s nuclear research facility first. And, in all probability, it was Iran’s aerial reconnaissance photographs, which the Islamic republic shared with Israel, that were crucial to the Israeli Air Force’s complete destruction of the reactor on 7 June 1981. E-books will always lack the nice satisfactory heft of a brown leather bound reference volume, not to mention the dusty ambiance of library stacks. And I like those things, because I'm a bit of a Luddite at heart. I even write with fountain pens. The Office of the Historian at the U.S. Department of State is pleased to announce the release of its Foreign Relations of the United States (FRUS) series in a new e-book format that is readable on popular electronic devices such as the Amazon Kindle and Apple iPad. The e-book edition combines many of the benefits of print and web publications in a new form that is portable and extremely convenient. 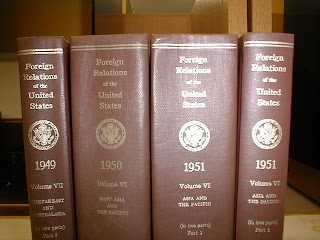 During the pilot phase of the FRUS e-book initiative, five selected FRUS volumes are available here. The public is invited to download the new e-books and provide feedback to help improve the FRUS e-book edition. At the conclusion of the pilot phase later this year, the Office will work to offer e-book versions of many more FRUS volumes both through the Office website and on a wide array of e-bookstores. The Office will continue to expand and enhance its e-book offerings, as part of the ongoing FRUS digitization effort. The FRUS e-book initiative is an outgrowth of the Office of the Historian’s efforts to optimize the series for its website. Because the Office adopted the Text Encoding Initiative’s open, robust XML-based file format (TEI), a single digital master TEI file can store an entire FRUS volume and can be transformed into either a set of web pages or an e-book. The free, open source eXist-db server that powers the entire Office of the Historian website also provides the tools needed to transform the FRUS TEI files into HTML and e-book formats. For questions about the FRUS e-book initiative, please see our FAQ below; for other questions or to provide feedback, please contact history_ebooks@state.gov. I'm putting away my ink pot and downloading one now. 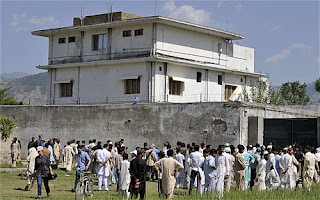 They were not a happy group, according to a retired Pakistani Army General who has investigated bin Laden's final domestic arrangements. There were three wives with bin Laden in his Abbottabad household, and that seems to have been one too many. The oldest one, age 62, clashed with the newest and youngest one, age 32, and might even have been responsible, wittingly or unwittingly, for bringing on the U.S. military raid that killed bin Laden. Pakistani authorities said Thursday that they'd filed charges against Osama bin Laden's three widows as an investigation revealed fresh details of the dead al Qaida leader's family life in Pakistan — including suspicions by two of the women that the oldest wife would betray him. Qadir [a retired brigadier who maintains ties to top levels of the Pakistani army] believes that bin Laden likely had undergone a kidney transplant, was living in effective retirement in Abbottabad and may have gone senile. The tranquility of his large household was shattered when it was joined early last year by the oldest of his remaining three wives, Qadir said in an interview. There were 27 people packed into the house in Abbottabad when U.S. Navy SEALs arrived on the night of May 2, 2011. But until a few months before that, when bin Laden's oldest surviving wife, Khairiah Sabar, joined them, they had all got on well, Qadir found. "When Khairiah came, everybody else was very suspicious of her. They didn't trust her at all," Qadir said. "Everything begins to happen with her arrival. Until then, the Americans seem to know nothing." Khairiah, a Saudi whom bin Laden married in 1985 as his third wife (he married six times), was freed from Iranian custody in 2010 as part of a murky exchange for an Iranian diplomat who had been kidnapped by extremists in Pakistan. About 62 years old, she made her way without her children to Abbottabad on bin Laden's instructions. The other two wives — Siham, a Saudi aged around 54, who had three adult children with her, and Amal, a Yemeni aged around 31, who had five young children — had lived with bin Laden since he moved into the Abbottabad home in mid-2005. They also had been with him for periods at other hiding places in Pakistan after 2001, according to Qadir. That situation does not sound good at all. Bin Laden could have avoided so much trouble for himself if he'd only put his wives in separate houses. Why cheap out with just the one house? 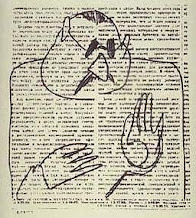 Wasn't he a multi-millionaire, or a Trustafarian, or at least someone with serious wealth? New Man Law: two or more wives may not inhabit the same domicile at the same time. Tropical fruit, or bomb component? Only Homeland Security can say for sure. I have all the sympathy in the world for the security personnel at our public buildings. However, I suspect the Frederick County Sheriff's Deputy who provoked a courthouse evacuation after he detected a suspicious coconut during his "morning perimeter check" has attended entirely too many Homeland Security training seminars. 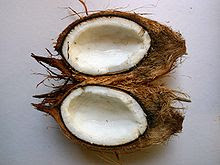 Is DHS circulating an advisory to law enforcement that warns about terrorist plots to disguise bombs inside coconuts? I should google "Husk-Borne Improvised Explosive Device" and find out. Maybe there really is something of the sort going around, and it's also quite possible that the Frederick County deputies are amped up about security due to the upcoming G-8 summit at Camp David. A coconut lying next to a column near the Frederick County courthouse caused police and fire personnel to evacuate the outside area and one inside office for about 20 minutes today. A courthouse deputy on his morning perimeter check spotted the coconut about 7:55 a.m. It looked like it had been sliced down the center and put back together, according to a Frederick County Sheriff’s Office press release. The Maryland State Fire Marshal’s bomb squad was called in to assist members of the sheriff’s office, the Frederick Police Department and the Frederick County Fire and Rescue Services in determining whether the tropical fruit was a danger to the public, the release stated. Members of the bomb squad determined the coconut was not dangerous. Deputy State Fire Marshal Matt Wrenn is handling the investigation. DEPUTY: Where'd you get the coconut? DEPUTY: Found them? In [Maryland]? The coconut's tropical! SUSPECT: What do you mean? DEPUTY: Well, this is a temperate zone. SUSPECT: The swallow may fly south with the sun or the house martin or the plumber may seek warmer climes in winter yet these are not strangers to our land. 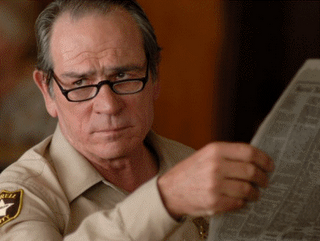 DEPUTY: Are you suggesting coconuts migrate? I still love that movie. Especially the scene where King Arthur gets harassed by peasants in an anarco-syndicalist commune. Now, let's consider the reasoning process that must have taken place in Frederick this morning. Imagine that you're a Frederick County deputy assigned to the courthouse.You have been taught that improvised explosive devices can be disguised as innocent items, you're walking around scanning the courthouse square before the court opens for business, and you're on high alert for signs of al Qaeda activity. Then, you spot A COCONUT lying on the ground. What's more, that 'coconut' is lying next to a building column which you, with your Homeland Security training, realize could be a structural element that is holding the courthouse up. And, therefore, that 'coconut' could be a fiendishly clever ruse by some terrorist or other, assuming there are any who would want to target a Maryland county courthouse. The coconut could also be just a piece of trash that somebody dropped there overnight, but that possibility was evidently too mundane to waste time considering before calling the bomb squad. Didn't the deputy wonder why any terrorist would disguise a bomb as something that doesn't fit into the surroundings? Since, that kind of defeats the purpose of disguising it in the first place. It's not like there are any palm trees in Maryland. I give him enough credit to think he did wonder about that, but his common sense was trumped by his fear that he would be criticized for not overreacting to any conceivable threat, no matter how far-fetched, in this post-9/11 era. I'll bet he even considered that the coconut might have been part of a drill by his patrol supervisor, or by some other agency or the news media, to see whether he would respond to such an unlikely item. Given the political realities, I think the deputy is not as dumb as he might appear. He just lives in the excessively risk-averse society that we have become, in which overreacting is always the safest thing to do. Foreign Policy magazine's favorite new game: Who Said it - Bush or Obama? "When it comes to their rhetoric on Iran, there's less distance between the cowboy and the community organizer than you might think." 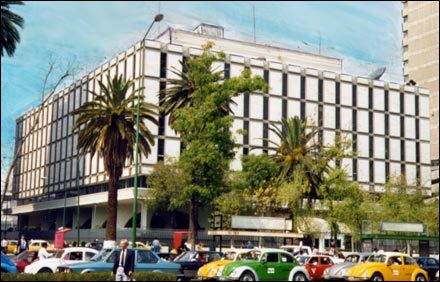 The Bureau of Overseas Buildings Operations (OBO) has made its first official departure from the architectural diplo-kitsch of the Standard Embassy Design, and intends to replace the old U.S. Embassy in Mexico City (pictured above) with a bespoke masterpiece from the new Design Excellence program. All details about that masterpiece are still to be determined, so we'll have to trust OBO on that for now. The Department of State’s Bureau of Overseas Buildings Operations (OBO) has shortlisted nine design teams for the New Embassy Compound in Mexico City, Mexico. Fifty-four firms responded to the public notification for prospective offerors [see it here] to compete. This initial shortlist of offerors will assemble their technical teams and submit detailed information on their organization and qualifications. The Mexico City design/bid/build project, scheduled for construction award in fiscal year 2015, is the first solicited under OBO’s new Design Excellence program. This holistic approach to project development and delivery seeks to utilize the best methods, technologies, and staff abilities to produce facilities that are outstanding in all respects. The overall strategy focuses on the integration of purpose, function, flexibility, art, safety, security, sustainability, and maintainability. That last sentence reads like it came straight out of an architectural charrette, which I'm sure it did. So, our project strategy will be to holistically integrate "purpose, function, flexibility, art, safety, security, sustainability, and maintainability" into a new office building. All that into the same building. Okay, but I think reality will set in at some point and OBO will need to make some unwanted trade-offs. 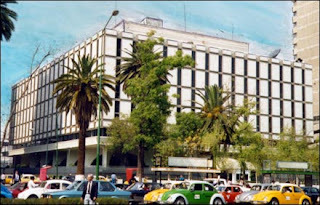 For starters, where in the enormous and densely-packed megalopolis of Mexico City is there a site that is large enough to build an Excellent Embassy on, but also close enough to the downtown business district and host government core to be highly functional for clients and embassy officers? That's trade-off Number 1 right there. And there will be a trade-off on the program level, as well. An Excellent Embassy is going to cost more than a standard embassy design when all is said and done - yes, it will, despite the Design Excellence program stuff about higher first costs leading to lower life-cycle costs - and that means an old embassy at some less important post will not get replaced. OBO will choose to do one high-toned new building instead of two inelegant boxes. Regarding the design competition, I'm guessing that Skidmore Owings & Merrill has the inside track. SOM designed the new U.S. Embassy in Beijing, which was the second-largest overseas construction project ever undertaken by OBO and a Design Excellence project in all but name (see this for details), and also the late-1990s new U.S. Embassy in Ottawa. The Ottawa design was extremely un-fortressy, maybe too much so even for an embassy in Canada. All reservations aside, I am looking forward to seeing how this excellent adventure turns out. If nothing else, it will be a refreshing change from the heavily standardized and regimented era of Major General (ret.) Charles C. Williams, Director and Chief Operating Officer, OBO, March 2001 to December 2007. "Beheadings Raise Doubts That Taliban Have Changed"